Just linking back to the previous post on Scott, I thought it would be nice to publish this image, which he drew on the reverse of a letter to a friend in 1899, thanking him for putting his name forward for membership of the Wellesley Club, Wellington. 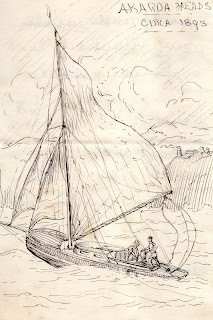 It shows Zephyr going through a gybe in some heavy weather off Akaroa in 1893. No doubt a shared experience. By the way, as an aside, Scott was first cousin to Falcon Scott of the Antarctic fame. The drawing below is another ink sketch of a design for knocking about. 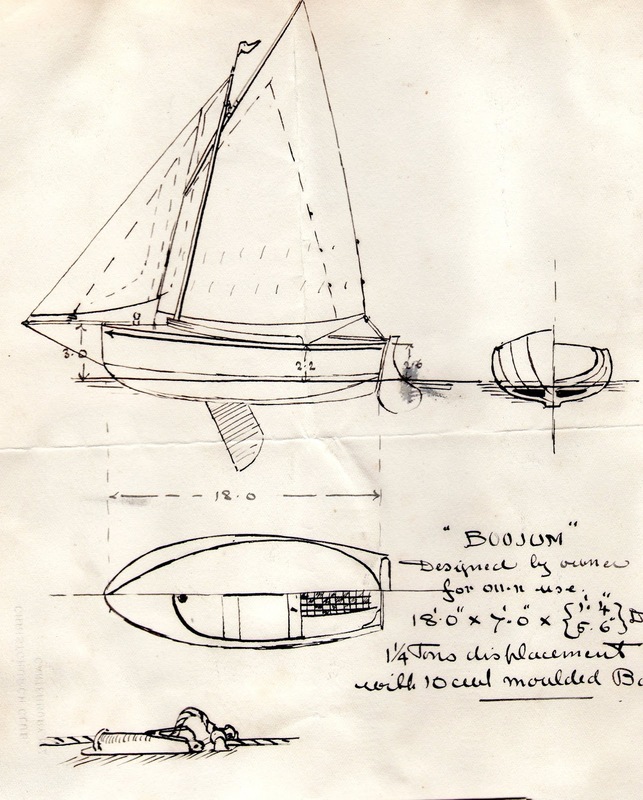 Not very much is known about her other than the name "Boojum" and that she was actually built. The name comes from Lewis Carroll's The Hunting of the Snark, a boojum is a being which makes people disappear. Quite a playful and slightly sinister name for a small boat designed for ease of single-handed sailing. Kia Ora was a 5-rater and a very sucessful racer in her day. 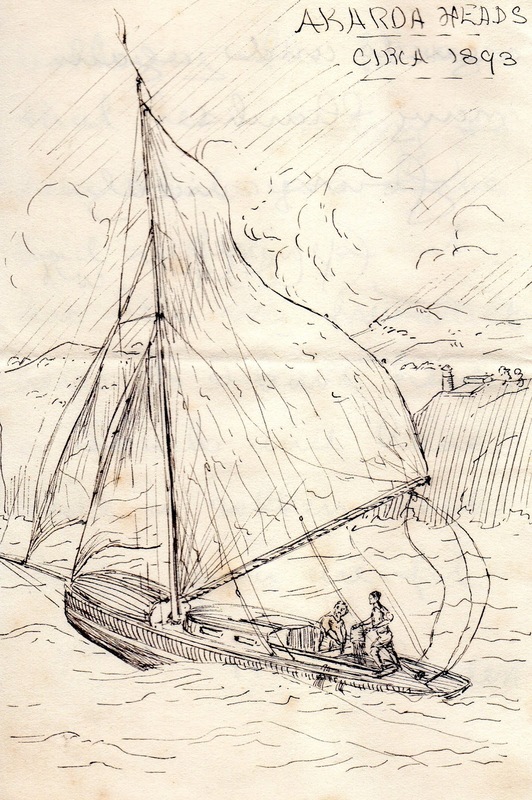 She shouldn't be confused with the Bailey and Lowe-built vessel which famously was attempted to cross the Pacific (against both the law of the day and good sense) in 1903. She was built for J. 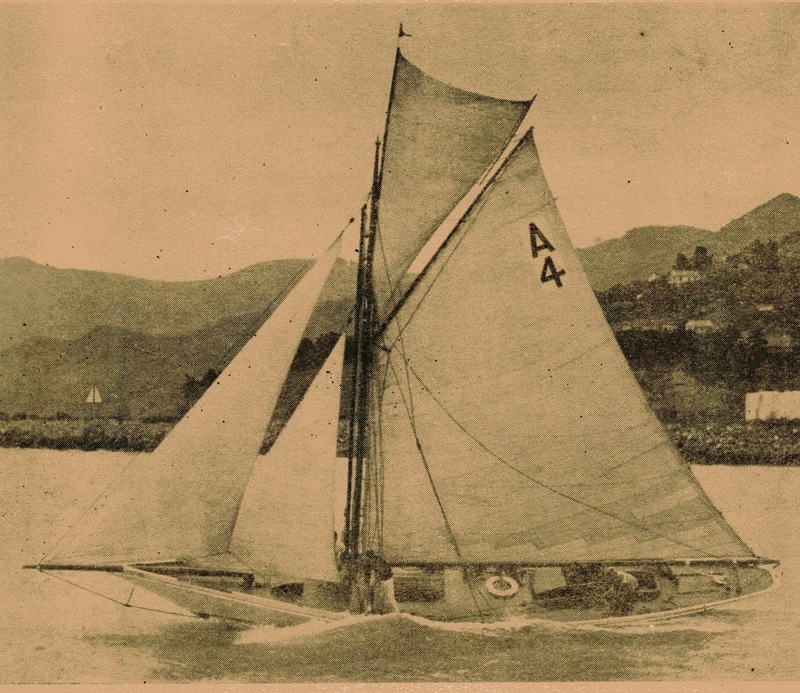 B. Collins to be based at Lyttelton; and raced her first major regatta at Akaroa in 1898, where she came second to Pastime. It was felt at the time she had not been sailed to her potential. 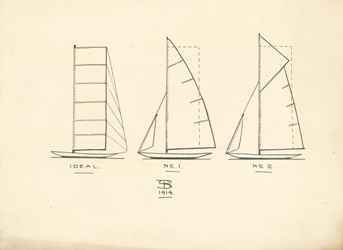 Collins continued to race her in the hotly-contested provincial annual regattas at Akaroa and Dunedin until 1913. The Kia Ora had a long racing career, competing well into the 1930s, and now sadly sits in an irretrievable condition at Lyttelton. Yvonne is a 5-rater designed by William Fife and built by Robert Logan Sr. in Auckland in 1893. 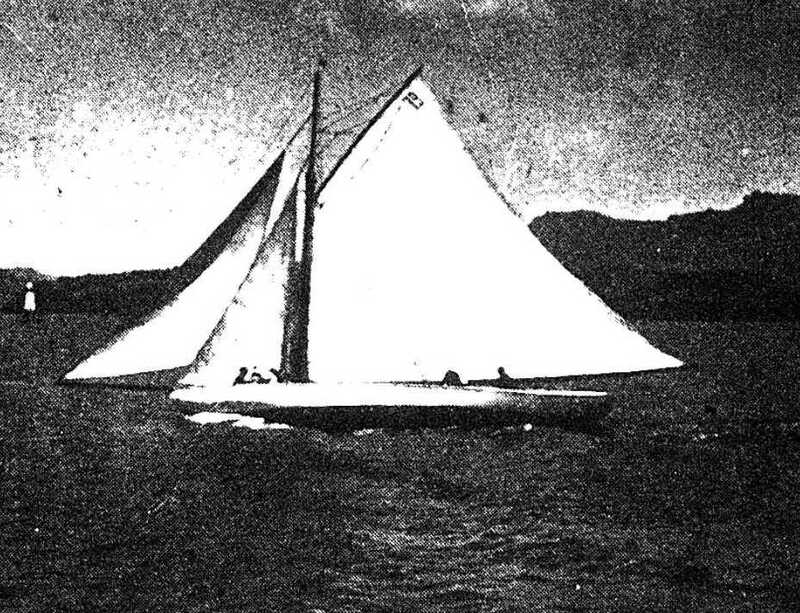 Scott purchased her for his own use in 1908 and campaigned her hard in the South Island Regattas. She has been around a bit, including a long stint in Wellington, where at one time she was sheathed in fibreglass. This was painstakingly removed during the early 1980s by Mike Joy and others. She is now back at Lyttelton, and after some years of neglect now is seeing some much-needed attention. Her most famous feat is the 'Jumping the mole' incident in 1909, which can be read about in Scott's own words here, published in 1946. An account of her early history can be read here, published in 1937. 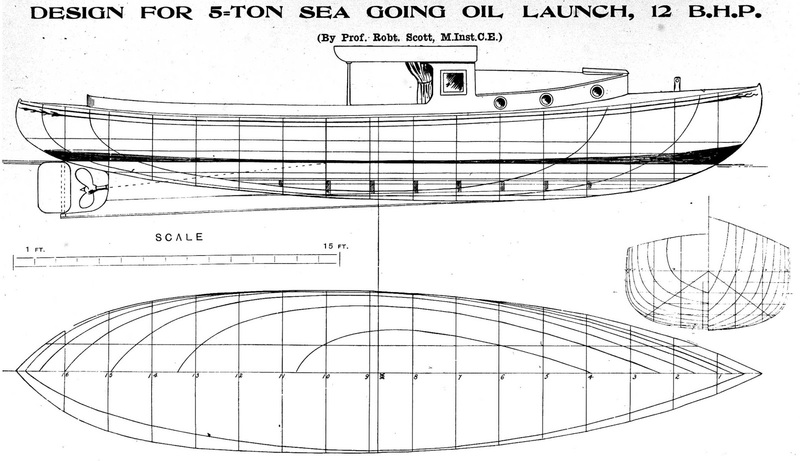 Below is lines of a canoe-stern launch published in Progress April 1911 issue. The article associated states she was built in Nelson, though a name is not given. She is reported as being very well-behaved in a seaway. 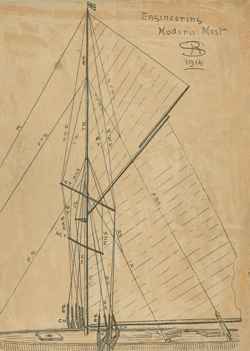 The lines and sail plan below, also published in Progress, are for a large fishing vessel. It is not known whether this vessel was built. 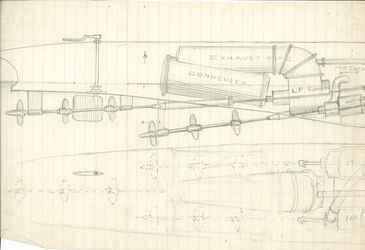 The images below are scans from the collection of the University. 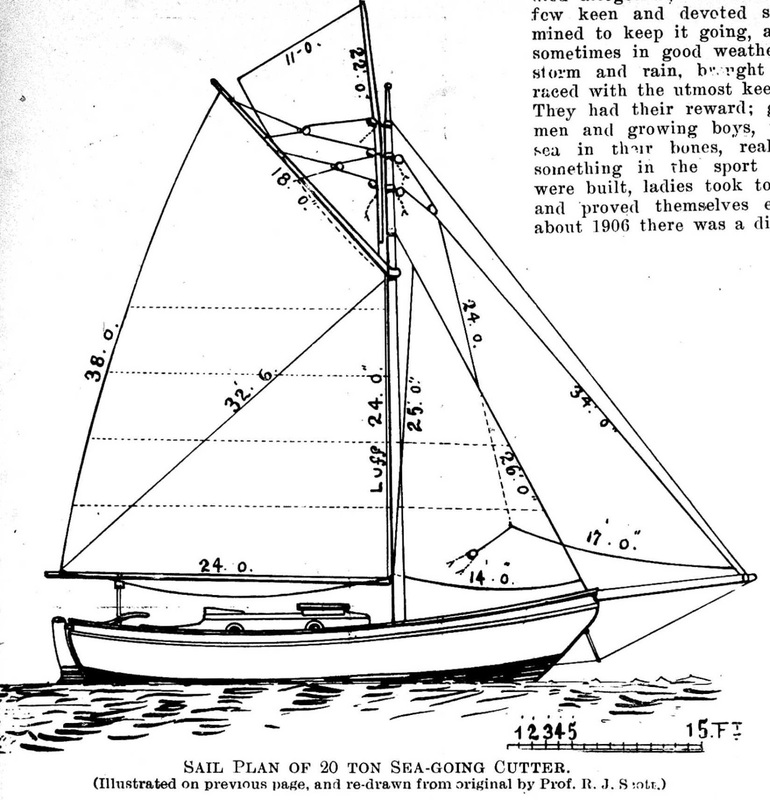 They show a contemporary rigging system, an exercise in sail areas, and an experimental propelling system.